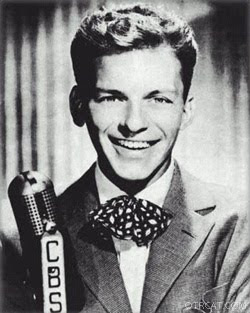 Kicking things off for the Holiday Season of 2009, this week on The Frank Truth Sinatra Podcast we've got a Hallmark Christmas special originally broadcast on the CBS Radio Network on December 19th, 1946. The program stars Frank Sinatra as Lieutenant Joel Scott in Room For A Stranger. Articles about Frank Sinatra, Jr. This podcast episode was licensed by BMI and ASCAP. The Old Time Radio Show included is a work in the Public Domain. We encourage you to purchase and enjoy legally distributed music. Thanks for the link to my Sinatra review! I was pleasantly surprised to hear you mention it on the show. And as I said before, we couldn't help but think of you and raise a glass while we were there.